Rocker Alice Cooper, 'Golf Monster' During his heyday in the early 1970s, shock-rock icon Alice Cooper dressed like a ghoul with a gaunt face and mascara-streaked eyes. His hits included "I'm Eighteen," "School's Out" and "Welcome to My Nightmare." In a memoir — Alice Cooper: Golf Monster, he recounts how he used his obsession with golf to overcome his addiction to alcohol. During his heyday in the early 1970s, shock-rock icon Alice Cooper dressed like a ghoul with a gaunt face and mascara-streaked eyes. His hits included "I'm Eighteen," "School's Out" and "Welcome to My Nightmare." 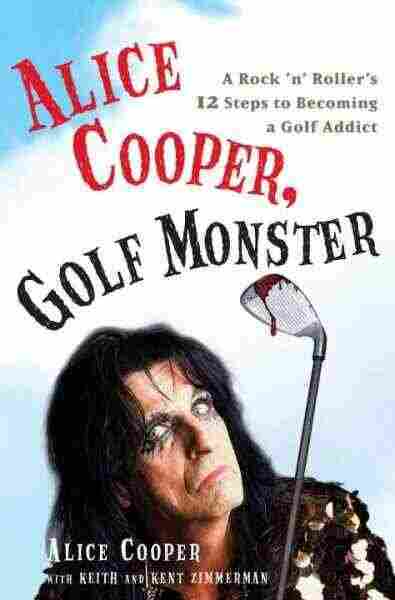 In a memoir — Alice Cooper: Golf Monster, he recounts how he used his obsession with golf to overcome his addiction to alcohol. This interview was originally broadcast on May 17, 2007.